BCC releases 6-episode web TV series of never-before-seen interviews and behind the scenes footage in the studio. Los Angeles, CA, September 19, 2012: Black Country Communion, the English-American rock band named “Best New Band of the Last 10 Years” (VH1 Classic’s That Metal Show) and featuring the talents of bassist/vocalist Glenn Hughes (Deep Purple, Trapeze, Black Sabbath), blues rock guitarist/vocalist Joe Bonamassa, drummer Jason Bonham (Led Zeppelin), and keyboardist Derek Sherinian (Dream Theater), will release their third studio album Afterglow (J&R Adventures) on October 30, 2012.
http://bit.ly/PEdsSJ and receive the album by street date. 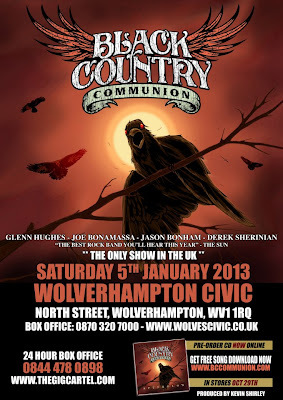 BCC has announced their only concert of 2013 at the Wolverhampton Civic Hall in Wolverhampton, England on Saturday, January 5, 2013. For more information and tickets, visit Planet Rock (www.planetrock.com) which will launch an exclusive 48-hour ticket pre-sale on Wednesday Sept. 19. Ed - Please note: Sorry folks, only got to see this US Press Release late Wednesday, but if you read Monday's update, you would've already seen the link, from the UK press release. Tickets go on sale to the general public on Friday Sept. 21 via www.thegigcartel.com. 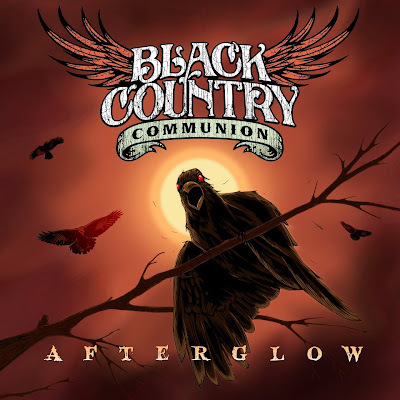 Like BCC’s previous albums (2010’s self-titled debut and 2011’s ‘2’), Afterglow was produced by Kevin Shirley (Led Zeppelin, Iron Maiden, Aerosmith, the Black Crowes), who formed the band after watching Bonamassa and Hughes perform together at a Guitar Center event in November 2009. Afterwards, Shirley got in touch with Sherinian and Bonham to round out the group and they released their debut album in September 2010. A mere nine months later, the group released their sophomore album ‘2’. 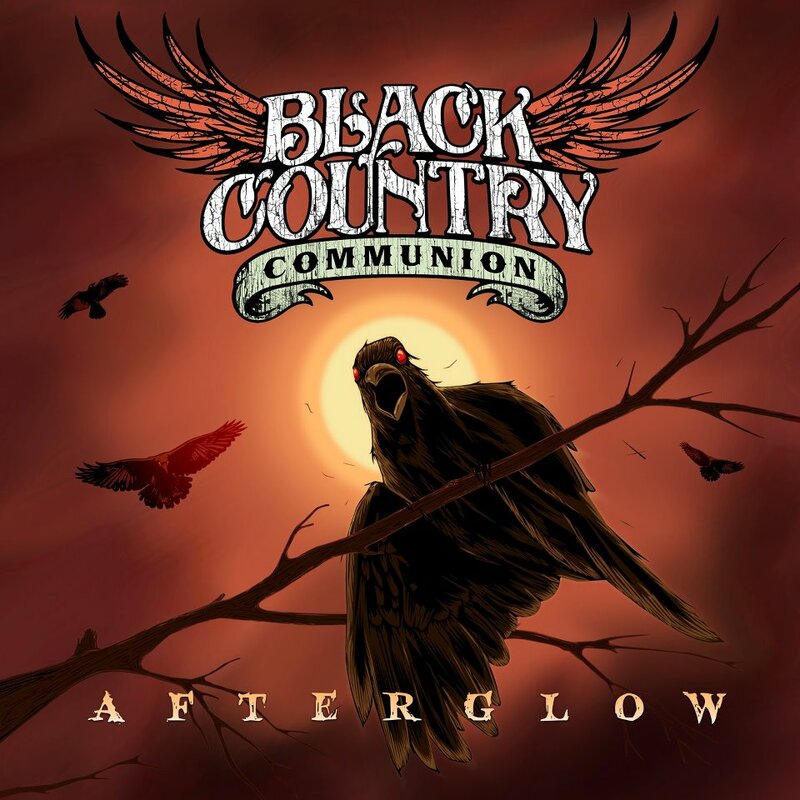 Guitar World named it #12 in their Top 50 Albums of 2011; Planet Rock Radio listeners crowned them Best New Band; in November, BCC scooped up the Breakthrough Award at the Classic Rock Roll of Honour Awards. In terms of content, Afterglow expands upon the progression that took place between ‘BCC’ and ‘BCC2’. “It’s a deeper album, musically, than our first two albums, but it does not step away from the genre we’re in,” said Hughes, who wrote the bulk of the album’s 11 songs after BCC’s Summer Tour in 2011. “I wanted this album to have more acoustic moments than the previous two. Rock Guitar Daily’s Tony Conley says, “It sounds like there's a war going on… It rages with an unbridled passion unseen on the first two Black Country releases, and this passion adds immensely to the music. His lyrics are as amazing, and they tell tales that could be heard in a variety of interpretations. Joe Bonamassa hits his strings like Ali hitting Sonny Liston - wicked accuracy and vicious intent that can't be hid. Bonamassa compares the album’s sound to “a jet engine” and Shirley, considered the unofficial fifth member of the band, added, “When I finally managed to get them all to convene in a studio and they start playing, it's like everything I've ever loved about Rock. 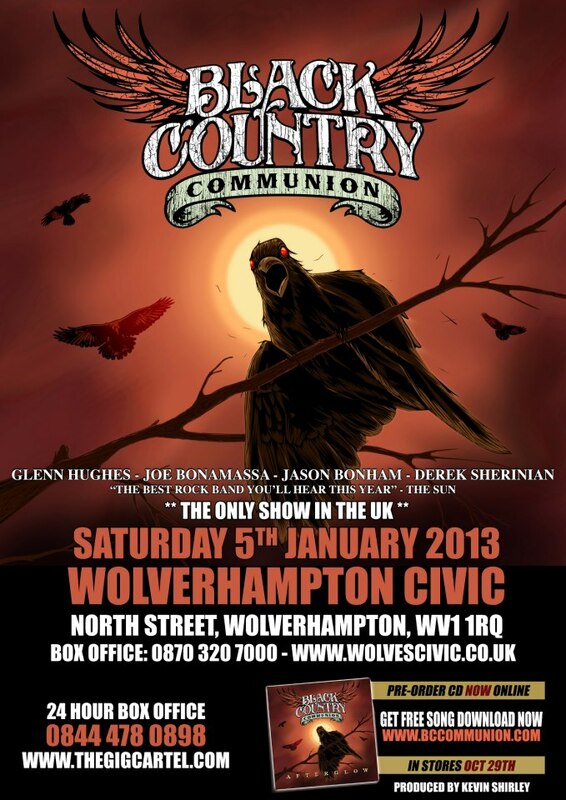 To support the release, BCC is running a 6-episode web TV series which can be viewed here: www.youtube.com/bccommunion. Vocalist David Van Landing will front Michael Schenker's band on the upcoming North American tour, which is scheduled to kick off on October 3 in Modesto, California. David will be stepping in for Robin McAuley, who was originally slated to take part in the trek after recently reuniting with Schenker for their first full tour together in almost 20 years. Van Landing, who has previously done three tours with MSG and had a short stint with CRIMSON GLORY, said: "I am just looking forward to getting out on the road again with the boys and seeing all my old friends and hopefully meet some new ones!!" In addition to Schenker and Van Landing, the lineup for the forthcoming tour is expected to include Pete Holmes (BLACK N BLUE) on drums, Wayne Findlay (MSG) on guitar and Elliott Rubinson (DEAN GUITARS) on bass. 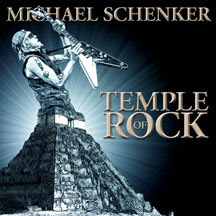 Schenker's latest album, "Temple Of Rock", was released in Europe on September 23, 2011 and in North America on October 11, 2011 on CD and LP through Schenker's own Inakustik label via MVD Entertainment Group. Due to a four year battle with a recurring Acid Reflux and the nasty Stomach Bacteria, HP, Robin McAuley has now been diagnosed with a Hiatal Hernia and requires surgery and can no longer participate in the upcoming MSG fall North American tour by Doctors order. "In light of the upcoming MSG shows beginning early October 2012, I regretfully am forced to cancel my appearance with Michael Schenker. I expect to be back in the saddle soon as this is taken care of but it's important for all the fans to know how very disappointed I am. I make a point of staying healthy and always ready to meet the challenges of each day as it comes. This is one of those days I rarely have to confront, but here it is nonetheless. I promise to be back at ya! Real soon! Be well, all of you, and thank you for your support. The MICHAEL SCHENKER "Temple of Rock" North American Tour will continue with DAVID VAN LANDING replacing Robin on vocals who has been the cornerstone of MSG tours in the 90's as the lead vocalist and most recently was featured on the MICHAEL SCHENKER sold out tour of South America in 2011. Michael Schenker is happy to have him for the second leg of the North America tour now. See all of you out there! Keep Rockin! And all the best to Robin! Both Appice and Turner have officially dismissed this news as a rumour. either of their media representatives or their record companies. this news of the formation of a "supergroup" is not official or confirmed. conversations are not 'official news' it is just casual talk. any official news stating that we were planning to launch this so-called supergroup." confusion this rumor or any casual conversations might have caused.